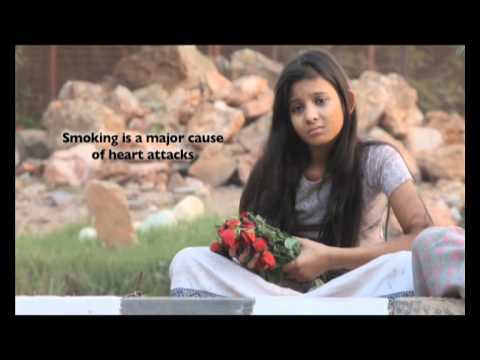 -A smoker's cough is a sign that cigarettes are damaging your body. -Cigarettes cause disease throughout the body; not just in the lungs. Opens from the point of view of a smoker looking down at his cigarette in one hand, and a rag in the other. We can hear him breathing, and he begins to cough. With each big cough, a shot of a smoking-related disease takes up the screen, captioned by its name. VO: A smoker's cough is not just a sign that you are damaging your lungs. A smoker's cough is a sign that you are damaging your whole body. Quit smoking today. Owned and available free of cost from Vital Strategies.